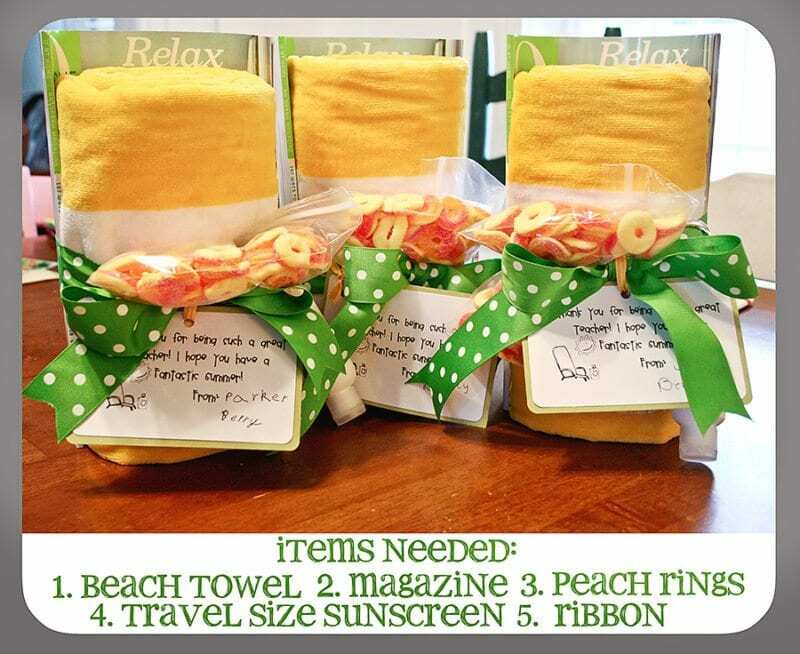 Sweet ideas for the end of the year! It’s getting to be that time of year again—time to start acknowledging and thanking your classroom volunteers! Whether your volunteers signed up to chaperone on field trips, baked for your class’s bake sale, or popped in to help during classroom holiday parties, the school year wouldn’t run as smoothly without your volunteers. Thanking them isn’t only nice, but it encourages them to volunteer again in the future. Who doesn’t like their hard work acknowledged? Need some inspiration for your own volunteers? 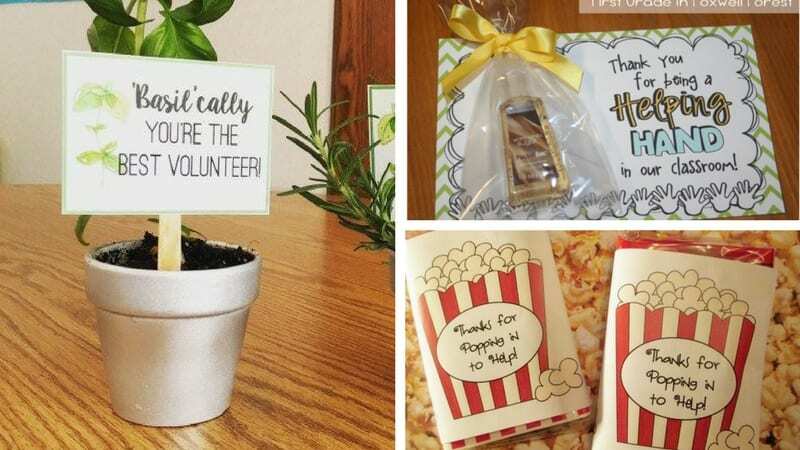 Try one of these 12 classroom volunteer appreciation gifts. What’s nice about this thank you gift is that it is not just from the teacher, but the students participate as well. Each volunteer is gifted a scrapbook from the students; each page is a note of appreciation from each student. The volunteers also receive a goodie box of strawberry-scented bath and body products, but the cherry on top is the box of homemade strawberry cupcakes. There’s no doubt that your volunteers will feel “berry” appreciated! The “Thanks a Latte” phrase isn’t new, but this tutorial finds a way to make the concept a little bit more personalized. 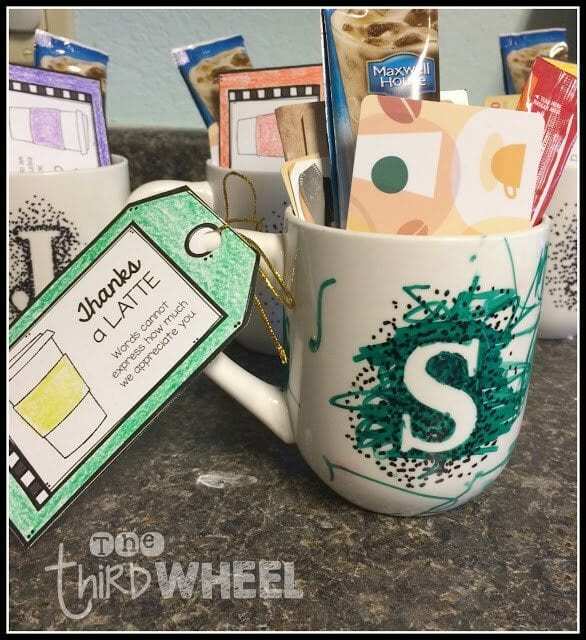 Instead of just handing out a Starbucks gift card, why not give a mug and an instant coffee (for on-the-go parents, of course)? The thought of buying a personalized mug might seem over-the-top, especially if you have many volunteers, but follow this tutorial and you’ll be able to make cute mugs for $1 each. Did you know that according to the Victorian language of flowers that basil represents good wishes? 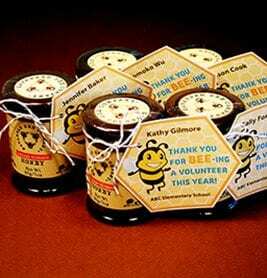 That sentiment makes this thank you gift a perfect way to express your gratitude to your volunteers. Not only will your volunteers’ kitchens smell good, but basil is a plant that will keep year-round indoors; it’s the gift that keeps on growing. 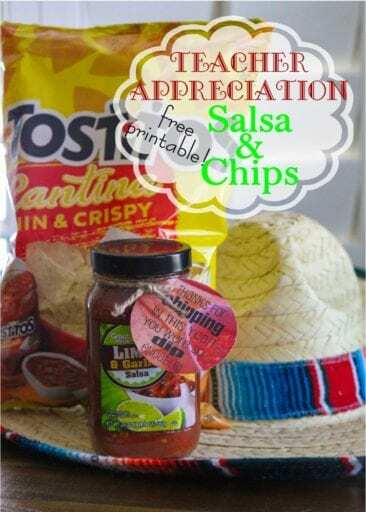 Who doesn’t love chips and dip? For the tags, you’ve got a few options here: “Thanks for chipping in” and “you’re so dip-endable” both work well with this themed gift. If you’re feeling extra ambitious, a key lime or margarita flavored cupcake would pair well with this gift. A small but useful gift! 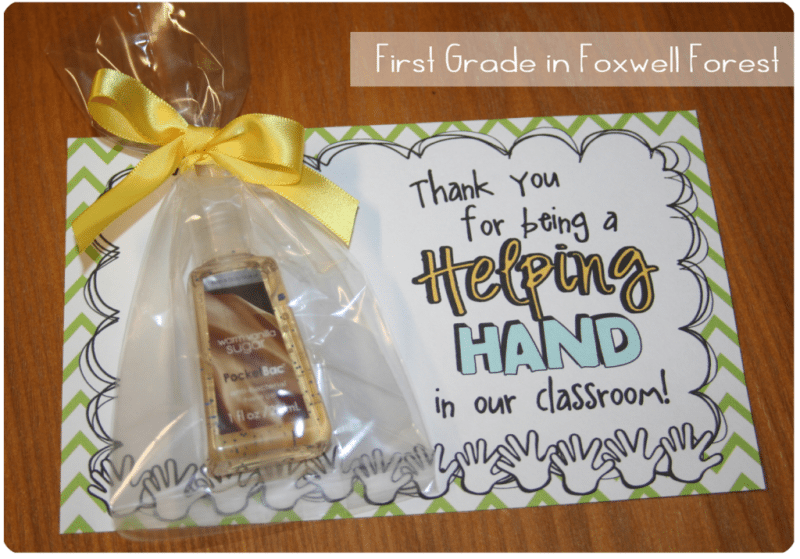 Hand sanitizer makes the perfect gift for a classroom volunteer. Make the gift even more special by choosing summer-y scents to get parents excited for the upcoming summer vacation. Whether you opt for a boxed bread mix or make bread from scratch, your volunteers will feel the love with this gift. Grab a few packages of tins from the store, a few boxed bread mixes, and then print the belly band label, and you’ll be good to go! Technically, this tutorial was created for parents to give to the teachers as an end-of-the-year gift, but it works quite well for volunteers too. 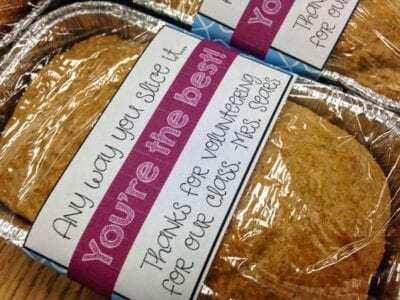 The overall message is “Thanks for a great year, now enjoy your summer”, and there’s no reason your classroom volunteers wouldn’t enjoy that. 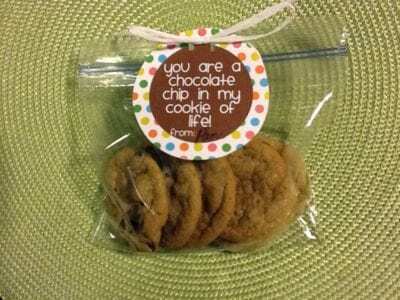 This is a simple yet delicious way to acknowledge your volunteers. All you need is one bag of popcorn and the printable label, and you’ve got an instant winner. 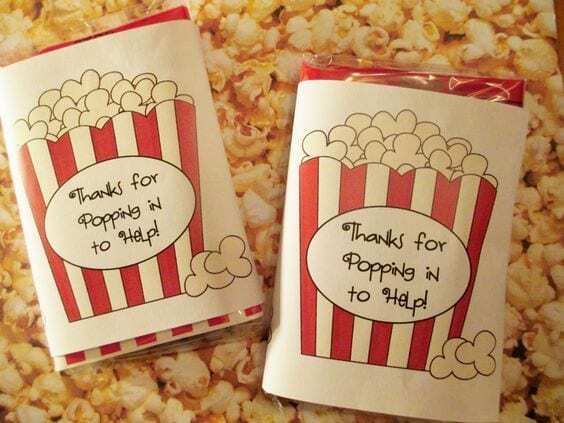 If you have a lot of classroom volunteers, consider purchasing the bulk sized box of popcorn bags at a wholesale club. These candy cups are cute, easy to make, and convey your appreciation. First, choose which candy you want to use (or use a combo), print your tags, and fill up a plastic cup. 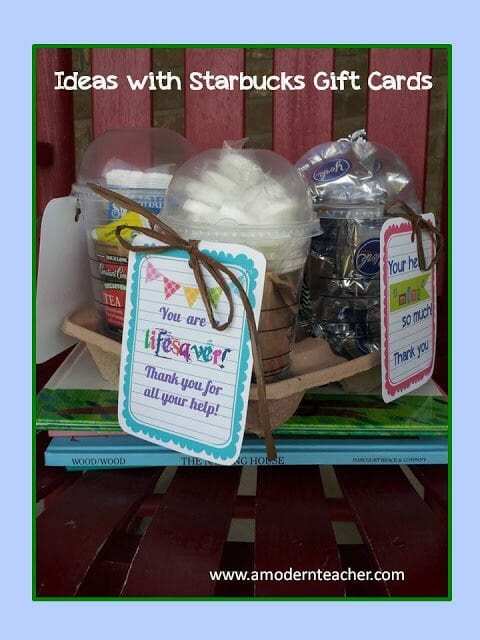 While the tutorial uses disposable cups, you could also use reusable cups to add to the overall value of the gift. Save the bees AND thank your volunteers? Yes, please! This eco-friendly gift supports the bee industry and gives your volunteers a sweet treat. Opt for locally made honey, and now you’re supporting your local economy. Win-win! Gift cards are oh-so-easy to purchase and give, but this tutorial kicks the gift card giving process up a notch. Transform a plain Amazon gift card into a personalized gift with the free printable card. Your volunteers will love the gift card and the thoughtfulness of the note. 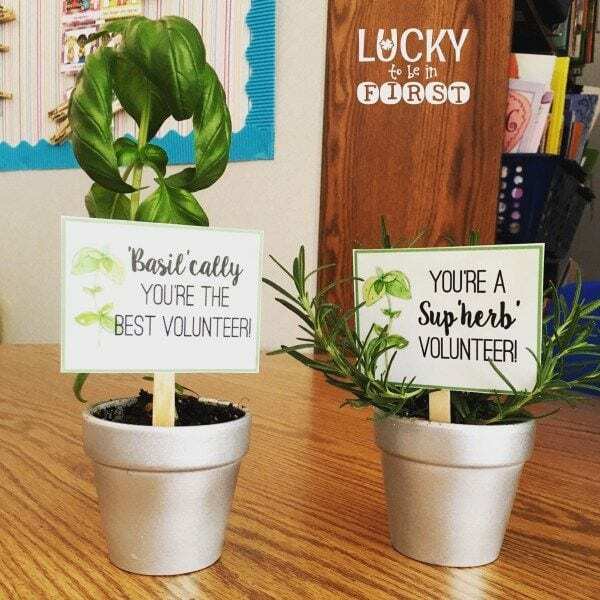 What have you done for classroom volunteer appreciation gifts? Come and share in our WeAreTeachers HELPLINE group on Facebook. Plus, gift ideas for principals.